Thanks so much for entering the drawing for a copy of Urban Views, and for leaving such lovely comments! The winner of is Patty who said "Thanks for the giveaway. The quilt on the cover is beautiful. Congratulations on the new book." Patty, I will email you so I can get your mailing address. 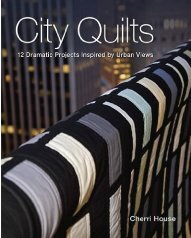 The quilt on the cover of Urban Views is City Lake...in honor of my falling in the late during a photo shoot. Keep watching here, I'll be having another giveaway next week. This is a date keeper, a beautiful book from C&T, I'm so honored that my quilt City Beat is on the cover; another quilt from Urban Views! Thank you again for entering the drawing! Urban Views - Free Giveaway! Urban Views is now available, and I'm giving away a signed copy! I love this book, I think it is so beautiful, C&T Publishing once again did their magic! I hope you will love it too! To enter for the drawing, leave a comment. The winner will be announced on July 28th. If you are in hurry, and would like to get a copy right away, check out your local quilt store, as well as C&T, and Amazon. At Amazon you can have a peek inside the book, which is always great! Many thanks for your kind and positive comments to my blog post about my weight loss, and my new book Urban Views. Both are so exciting, and both feel like such a milestone. Here I am today at the Gap buying a pair of size 8 jeans, holy cow, I think it's been 25+ years since I've worn size 8!!! Let me tell you a few awesome things about Urban Views...the foreward was written by dearest Kathy Mack of Pink Chalk Fabrics, all of the quilting was done by the amazing Angela Walters, all of the fabrics for the quilts are Kona Solids by Robert Kaufman (with one exception, but I'll let that be a surprise). Since some quilters prefer textured fabrics to solids, the book includes some tips on how to use them instead of solids for ALL of the city quilts. We explore various types of near solids, hand-dyes, and other fabrics beyond cotton. Susan asked why I didn't move to Utah with all of the girls being there...I have a few reasons, I'm not a fan of the cold, I have a job in Houston, and I'm not a fan of the cold. Maybe someday when everyone is settled I'll think about it, but I'd hate to move there; then have everyone up and leave. Gotta run (really, I can run now! ), I'll chat with you soon. The previous winner of Simply Triangles never contacted me, so I've picked a new winner...hence; bad news/good news! Joyce Mitchell it's your lucky day! I'll send you an email, please write back, and send me your mailing address. Thanks to everyone for participating in the Simply Triangles blog tour. The winner of the book is Deb Praus!!! Welcome to day three of Barbara Cline's blog tour - I'm so honored to join along. The title of Barbara's book is Simply Triangles, but let me tell you - it is so much more! If you've ever been intimated by triangles, fear not...between Barbara's clear instructions, and C&T's graphics, you will become a triangle queen (or king). My first book I wrote, "Star Struck Quilts", is based on quilts that are the lone star block layout. The diamond blocks in the lone stars are pieced which makes design inside a lone star quilt. Simply Triangles, my second book, was inspired by a similar idea. These quilts are based in triangle block layouts. The triangles are pieced making stars, daisies and pinwheels. I do not find myself a writer, but a designer and quilt maker. C&T Publishing has been a wonderful publisher to work with. It is with their fine expertise and years of experience that they have helped me tremendously in writing my two books. Currently, a third book is in the making, also by C&T Publishing. Do you teach? Yes, I teach classes, give lectures and trunk shows nationally. 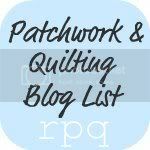 I also teach at Patchwork Plus, a local quilt shop. What do you love about teaching? It is a thrill to teach new concepts and to see new ideas "click" when quilters learn. There is also a joy in showing "tricks of the trade" that make piecing easy. 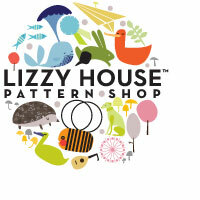 Do you have a passion for triangles, or a passion for quilting? My passion is designing and then making what I designed. Where do you "fit" in the quilting world...modern, traditional, all? I tend to be more of a traditional quilter. I have 6 sisters and they stretch and encourage me on the modern side and challenge me to step out of my comfort zone. To win a copy of Barabara's book, leave a comment, and a winner will be selected on 9/9/12. *Winners from outside the U.S. will receive a electronic copy of the book. Jane, I'll email you, and you can send me your mailing address. We Love Color is now available here, it is a wonderful book, I highly recommend it for the modern quilter, or anyone who loves solids! This is my quilt, Centered. Enjoy the rest of the blog tour...keep entering for your chance to win! We Love Color! Blog Tour and Giveaway!!! We love color, I love color, you love color...what a celebration of color, and of Robert Kaufman's amazing selection of Kona Cotton Solids. Words can't describe my love for these fabrics, and all the choices of color that are available. And, while it seems too good to be true they RK is introducing 28 new colors...be still my heart! One of the new colors is Wisteria...I love it! How would you use this color? Something totally Springy I think! My favorite Kona color is Cerise...or Cherry in French...fitting, don't you think? The quilt that I created for We Love Color is called Centered, a very sentimental story about my life years ago. While I don't have any sneak peaks for you (I'm out of state visiting a brand new grandbaby), I promise it is worth tracking down the book to take a look. Where do you find inspiration for color? For me...it is everything, and everything! Leave a comment, and on June 18th I will have a giveawsay for a copy of We Love Color, and a bundle of the new colors!! !